Migrant Voices is a series of three programmes produced by trainees who participated in Near FMs community radio training. 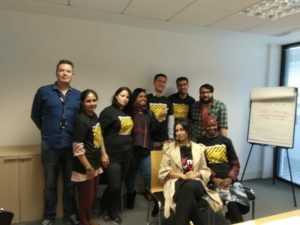 The training equipped trainees, all from a migrant background and living in Ireland, with the knowledge and skills to produce their own radio programme on a topic of their choosing. The trainees were split into three production teams. The training culminated with the trainees completing a QQI Level 3 in Media expression and producing three half hour programmes to be broadcast on Near FM. In this programme Hassina Kiboua, Cesar Ghalawinje and Fatima Mahmud investigate the role Interpreters play in the processing of refugees in Ireland. Cesar interviews Hassina about her role in the Irish Refuge Council, in which she voluntarily trains refuges to be interpreters. Then Hassina interviews two of her previous students. Adam and Zainab who talk about the benefits of taking the course and how they are now using the skills learnt to make a career for themselves. Also Fatima talks to current participants of the training in the Irish Refugee Council. In this programme Azad Izzeddin, Zuhur and Akshay Kissoondhery ask the question, why do refugees have to pay the same fees as international students in Ireland? Azad talks to Hassina Kiboua from the Irish Refuge Council about the difficulty refugees face in accessing higher education. Zuhur interviews Frances Brady a tutor in Esold. Azad also interviews George Mulcahy an ex Irish student about the issue. Akshay talks to people on the street to get the public’s view. 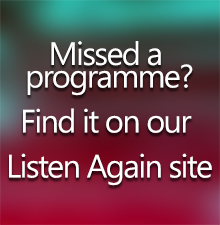 Mothers returning to work are the topic that Shabina Rahman and Mary Oyediran tackle in this programme. Shabina talks to Rebecca Loghhnan a stay at home mother who is taking a career break. She also talks to Angelisa from the New Communities Partnership who is a migrant training officer. Mary and Shabina discuss their own experiences of being mothers and the challenges of returning to work. And Mary chats to women in the streets to see what the public think.